Mortar shells slammed into central Damascus on Tuesday, hitting a technical institute in a barrage that killed 12 people and wounded 50, state media reported. "Twelve citizens were killed and 50 others wounded by terrorists who targeted the Shaghour neighbourhood in Damascus with four mortar shells," the SANA news agency said, adding that two shells hit the Badr al-Din al-Hussein technical institute. This video allegedly shows the aftermath of a regime air strike on a school in the al-Ansari neighbourhood of Aleppo which activists say killed at least nine, including three children, and injured dozens more. Some sources say up to 30 children were killed. The Syrian Observatory for Human Rights has reported that Jabhat al-Nusra has claimed responsibility for the twin car bombings yesterday in Hom's predominantly Allawite neighbourhood of Zahra. 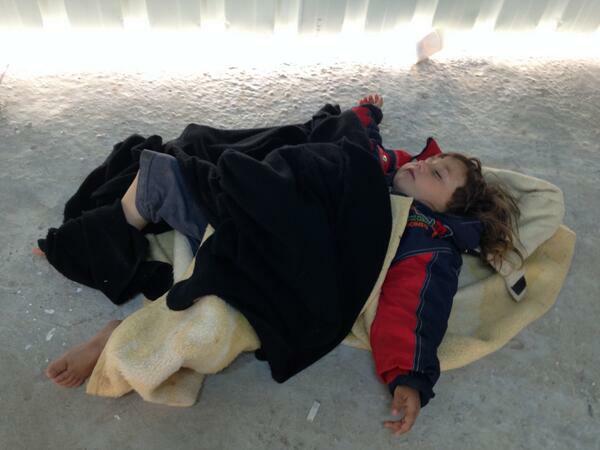 The observatory raised the death toll to 51 of them children and civilians and 70 wounded. This video allegedly shows an air raid on rebels in the Jober neighbourhood of Damascus today. This video allegedly shows the aftermath of an airstrike in Sahem al-Golan in the western Deraa countryside which activists say killed one child. This video allegedly shows an airstrike on Inkhel in Northern Deraa. Al Jazeera cannot independently verify this video. Clashes between Syrian government forces and opposition fighters have killed 14 rebels in a flare-up overnight along a strategic corridor between Damascus and the Lebanese border, activists have said. The fighting in Zabadani - a town near Damascus and the last rebel stronghold in the area - is part of the larger battle for control of the mountainous Qalamoun region, stretching from the Syrian capital to the border with Lebanon. According to the Syrian Observatory for Human Rights, the latest bout of clashes killed 14 rebels and an unknown number of soldiers on Thursday. The Syrian government does not publicize its casualty figure. This video allegedly shows barrel bomb attacks in Deraa today. This video allegedly shows rebel fighters attacking the Naseeb customs center near Deraa. This video allegedly shows rebels attacking government troops in Qalamon in the west of Syria today. 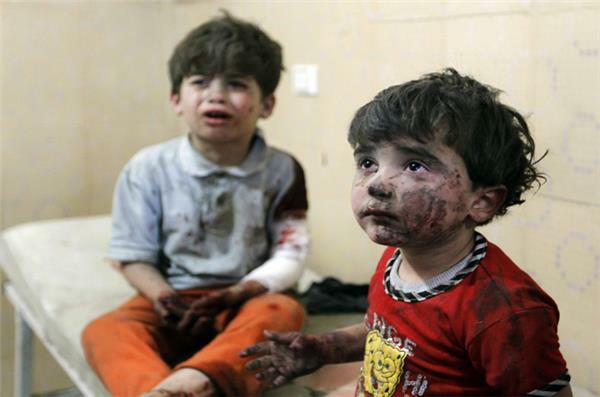 Injured children cry after, according to activists, two barrel bombs were thrown by Syrian army in Hullok neighbourhood of Aleppo. Hezbollah, the Lebanese Shia armed group, is playing an increasingly significant role in Syria's civil war. Some support the group's defence of Bashar al-Assad, the Syrian president, but others say it has destabilised Lebanon. The Syrian opposition said thousands of Hezbollah men are in Syria defending the Assad regime. And many argue that Hezbollah's decision to fight alongside the Syrian government has caused opposition groups to target Shia neighbourhoods in Lebanon with car bombs. Al Jazeera's Rula Amin travelled to a mainly Shia village, where many men have left to fight in Syria. Saturday, a monitoring group and state media said. Rebels fighting to overthrow President Bashar al-Assad have managed to hit central Damascus with rockets and mortar fire during the three-year-old conflict despite firm government control over the heart of the city. 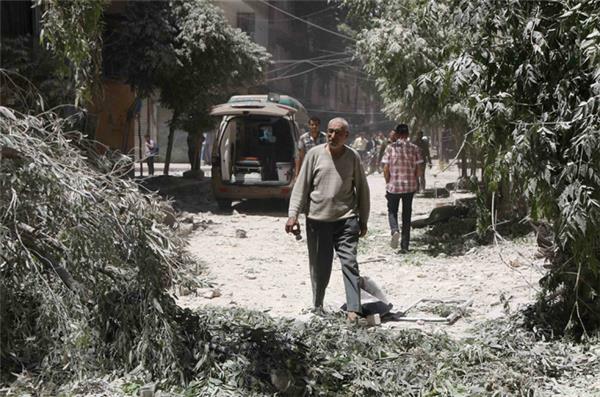 Syria's state news agency SANA blamed "terrorists" for Saturday's mortar fire, saying it killed three people and wounded three others when it struck a minibus in the al-Dwel'a area of the capital. Al Jazeera's Zeina Khodr explains why Homs is so important to both sides in the conflict. 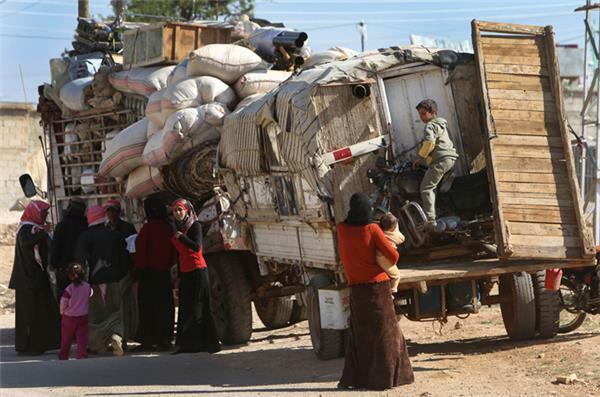 At least 60,000 people have fled towns in Deir Ezzor province in eastern Syria which has been the scene of fierce clashes between rival rebel groups. Fighting between al-Qaeda affiliate al-Nusra Front and the breakaway Islamic State of Iraq and the Levant (ISIL) has raged for four days despite an order from al-Qaeda chief Ayman al-Zawahiri to stop fighting, the Syrian Observatory for Human Rights said on Sunday. Talal Barazi, the Homs provincial governor, says the Syrian city will soon be free of weapons and fighters as Syrian forces take full control over the city. 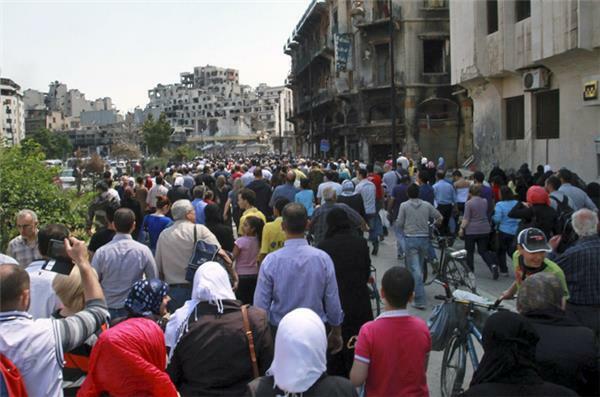 In a recently brokered ceasefire opposition fighters leave the city of Homs. Meanwhile the withdrawal is seen as a victory for al-Assad's forces. Al Jazeera cannot independently verify the contents of the videos above. Thousands of Syrians streamed into war-battered parts of the central city of Homs for the first time in nearly two years on Saturday, many making plans to move back just days after rebels surrendered their strongholds to pro-government forces. Denmark's foreign minister has urged Syria to give up the last of its chemical weapons agents within days to meet a June 30 deadline for completely ridding the war-torn country of its lethal stockpile. Foreign Minister Martin Lidegaard said there are "serious security problems" concerning the last 16 containers, some of which have agents used to create deadly VX and Sarin nerve gases. 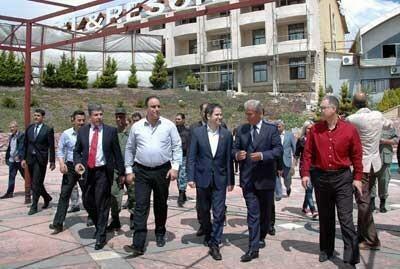 But he said that these problems can be resolved and that the Syrian government needs to make that a priority. "That is the clear message to the Syrian government that we expect them to deliver the last containers as soon as possible, hopefully within days,"
Syria has already missed an April 27 deadline for all chemical agents to be removed or destroyed in the country. Barack Obama met Syrian National Coalition's opposition leader Ahmad Jarba on Tuesday, praising the coalition's role in trying to find a political solution to the crisis in Syria, the White House said in a statement. "President Obama welcomed the coalition's leadership and constructive approach to dialogue, and encouraged the coalition to further its vision for an inclusive government that represents all of the people of Syria," the White House said. 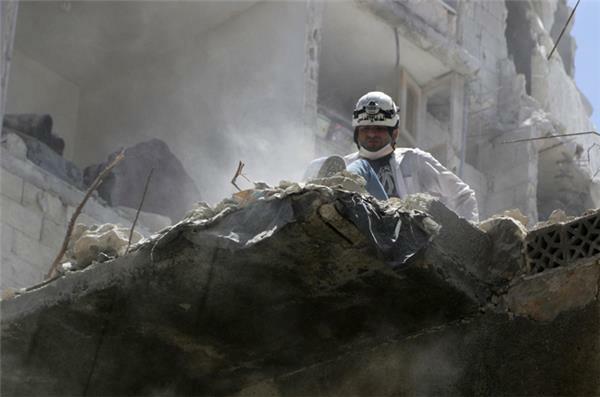 Medical facilities in Syria are being deliberately targeted by government and opposition forces, according to the group Physicians for Human Rights. The group says that since the war began in 2011, nearly half of the country's public hospitals have been destroyed, damaged or made dysfunctional. More than 460 medical personnel have reportedly been killed. Al Jazeera's James Bays reports. Two journalists for the Times were kidnapped by a "rebel gang" and one of them was shot before members of a rebel group intervened and secured their release, the newspaper reported on Thursday. The two, who had spent several days covering Aleppo for the Times, were released on Wednesday after local commanders of the group Islamic Front intervened. 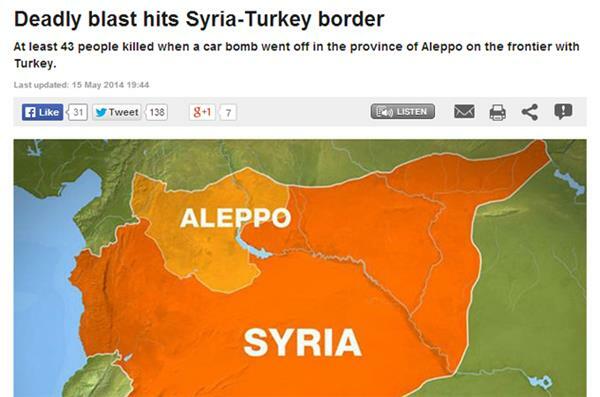 They later crossed into Turkey, the paper said. Loyd and Hill were kidnapped earlier in the day along with a local guide while heading from the northern town of Tall Rifat to Turkey after a "rebel gang" intercepted the vehicle in which they were travelling, the newspaper reported. After their rescue by the Islamic Front, which was formed in December to counter al-Qaeda-linked rebel, they received medical treatment locally before crossing into Turkey, it said. This video allegedly shows the destruction of a building used to house government troops by opposition fighters. The rebels placed explosives in tunnels under the building. Al Jazeera cannot independently verify the content of this video. A Car bomb has exploded at a bus station near the border crossing of Bab Al Salameh with Turkey. 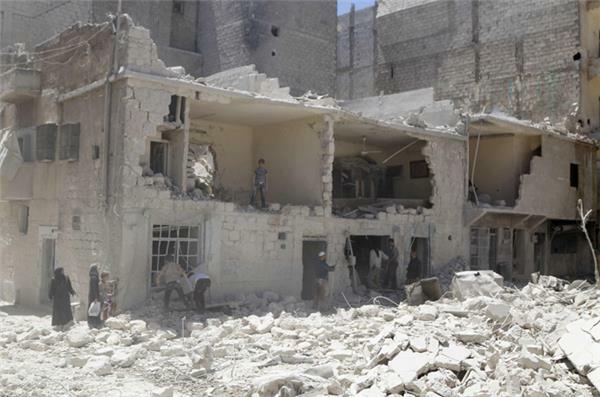 According to Syrian Observatory for Human Rights, 17 people were killed and tens wounded. The US secretary of state John Kerry, and foreign ministers from Western and Arab nations met on Thursday to discuss new ways of supporting the Syrian opposition. The Friends of Syria group gathered in London just days after UN-Arab League peace envoy Lakhdar Brahimi stepped down after almost two years of fruitless efforts to end the war. The Friends of Syria group is made up of Britain, Egypt, France, Germany, Italy, Jordan, Qatar, Saudi Arabia, Turkey, the United Arab Emirates and the United States. 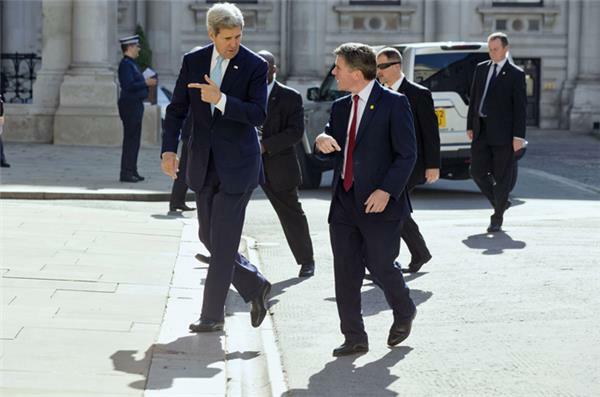 Kerry said before leaving Washington for his latest diplomatic offensive that Brahimi "did not fail". The London talks are likely to underline the group's rejection of the presidential elections being organised by the Syrian regime on June 3. Syrian opposition leader Ahmad Jarba also took part after attending a week of high-level meetings in Washington in a bid to strengthen US support for the rebels in their battle against Assad. Specifically Jarba pleaded for anti-aircraft missiles to shoot down regime aircraft which are dropping barrel bombs on Syrian civilians. Jarba said in a statement. At least 17 people were killed and dozens wounded in a car bomb blast on the Syrian side of the Bab al-Salam border crossing with Turkey, an anti-Assad group said. The Syrian Observatory for Human Rights said the explosion hit an area being used as a parking lot, adding that women and children were among the dead. At least 43 people were killed and more than 80 others were injured when a car bomb went off at a northern Syrian border post on the frontier with Turkey, the Syrian Observatory for Human Rights said. The explosion on Thursday occurred at a garage near the Bab al-Salameh border crossing in the northern Syrian province of Aleppo. Five aid workers who were kidnapped in Syria in January have been freed, medical charity Doctors Without Borders, a France-based non-governmental organisation known as MSF, has said. In a statement on Thursday, the NGO said three of the staff members were released on April 4 and the remaining two on Wednesday. "Out of respect for the privacy of the five, MSF is not disclosing their identities, nor will the organisation comment further on the circumstances of the captivity or the release," said the aid group. MSF said that the kidnapping took place on January 2 in a hospital that it was running in northwestern Syria to provide essential healthcare to people affected by the country's raging civil war. 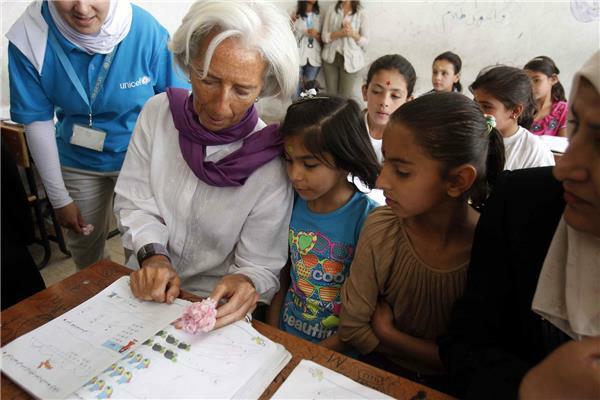 #Syria is drifting out of the interest of the people around the world. 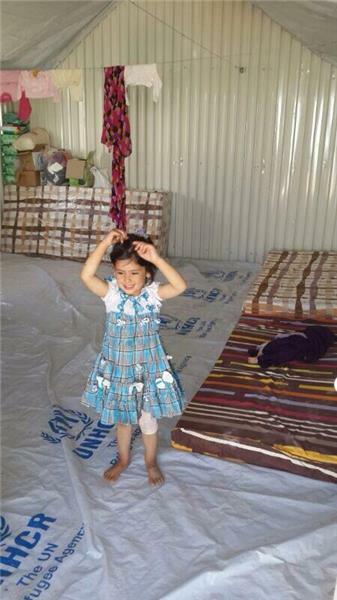 At the moment where #humanitarian needs have never been as dramatic. Syrian rebels captured a village in northwestern Syria on Sunday, killing more than a dozen government troops in heavy clashes and prompting the military to carry out air raids to try to dislodge the fighters, activists said. The village of Tel Meleh, northwest of the city of Hama, has changed hands several times over the course of Syria's three-year conflict. The anti-government Local Coordination Committees activist group says the rebels killed large numbers of Assad's forces and destroyed at least one tank while taking Tel Meleh. The UK-based Syrian Observatory for Human Rights says at least 18 pro-government troops and two rebels were killed in the fighting. It said government aircraft conducted air raids on Tel Meleh on Sunday afternoon. The chief of Syria's air defence forces, General Hussein Ishaq, has been killed in combat near Damascus, a security official has told news agencies. Isaac was one of the highest ranking military commanders killed in Syria's three-year conflict. Al Jazeera's Osama Bin Javaid reports. 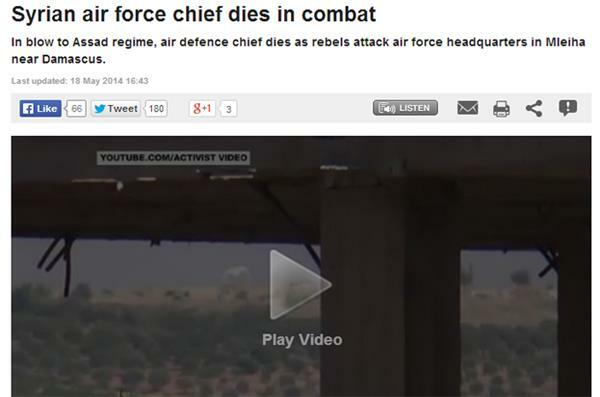 General Hussein Ishaq, the commander of Syria's air defence forces, has been killed in combat near Damascus. 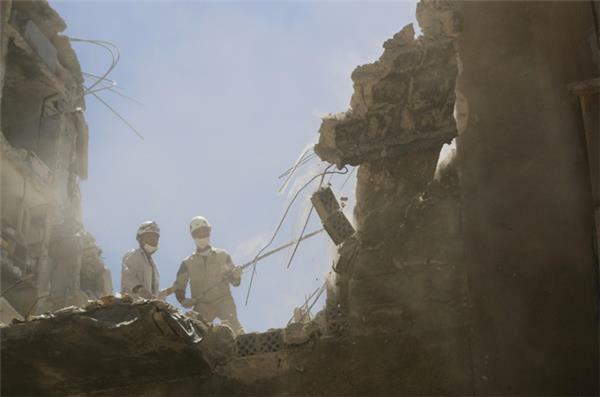 Civil Defence members clear debris and residents inspect damage on Sunday at a site hit by what activists said were two barrel bombs dropped by forces loyal to Syria's President Bashar al-Assad in Aleppo. The UK-based Syrian Observatory for Human Rights said it has documented 162,402 deaths since the uprising against Bashar al-Assad's government began in March 2011. The observatory continually updates its tally of Syria's dead. However, Al Jazeera cannot independently verify its records. 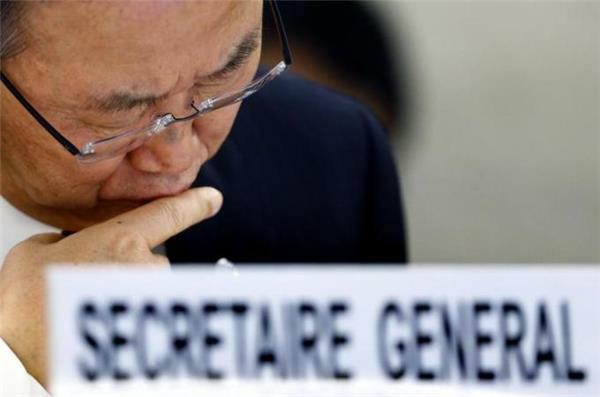 The UN has stopped updating its own tally of the Syrian dead, saying it can no longer verify the sources of information. The world body's last count in late July was 100,000 dead. A British man has for the first time been convicted of "terrorism-related" charges after going to Syria with the intention of participating in the country's ongoing conflict. Kingston Crown Court on Tuesday convicted Mashudur Choudhury of engaging in conduct in preparation for "terrorist acts". Prosecutors said the 31-year-old went to Syria in October intending to join a "terrorism" training camp. A number of European countries and the US have introduced measures to stop their citizens from travelling to Syria to take part in the war. A Syrian citizen journalist who survived a chemical weapons attack by the Syrian government in a rebel-held district in Damascus in August last year has told Al Jazeera his story. Qusai Zakarya, a 27-year-old, fled to the US after the attack and is now working to raise awareness of the Syrian conflict in Washington, DC. "It is starting to be moved as we speak," said John Kirby, a Pentagon spokesman. The news followed an announcement by the joint mission of the United Nations and the Organisation for the Prohibition of Chemicals that Syria had destroyed its entire declared stockpile of isopropanol, a precursor for producing sarin nerve gas. "Now 7.2 percent of Syria's chemical weapons material remains in country and awaits swift removal for onward destruction. The Joint Mission urges the Syrian authorities to undertake this task as soon as possible," the UN-OPCW mission said in a statement. More than one million Syrians have fled to Lebanon since the revolt against President Bashar Assad erupted in the country in March 2011. Lebanon, a nation of 4.5 million people, has struggled to cope with the massive influx, with many refugees in need of housing, education and medical care. 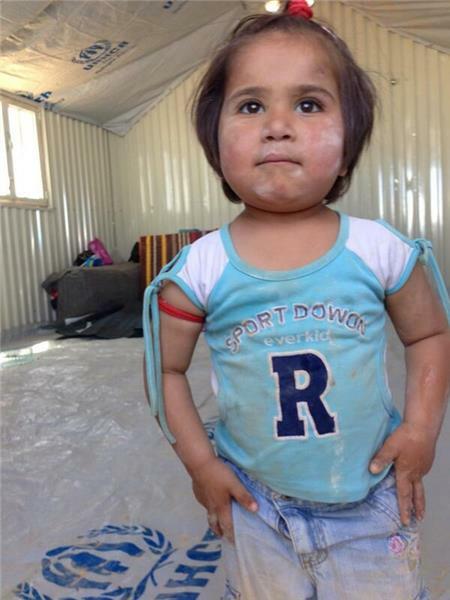 - Malnutrition among children is one of the most dramatic problems, according to aid workers. An estimated 10,000 Syrian children in Lebanon likely suffer from malnutrition, said Dima Ousta of the International Orthodox Christian Charities, a non-government organisation leading efforts in dealing with the issue in Lebanon. - UNICEF says nearly 2,000 Syrian children in Lebanon are at risk of dying because of acute malnutrition if not immediately treated. 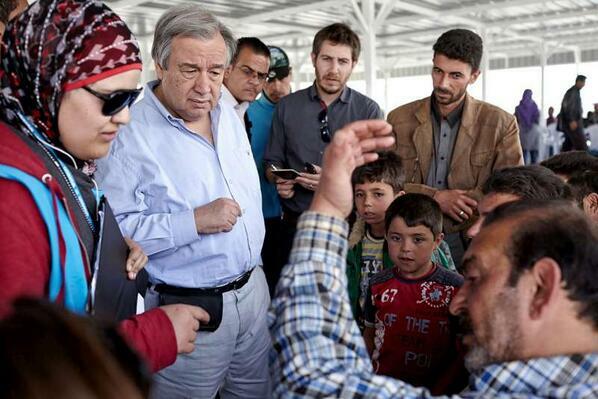 - The United Nations has appealed for $1.7 billion in aid for Lebanon this year, and has received only a fraction of the funds needed to help the refugees.